Perhaps it's the best way to learn more about Tibet to attend a Tibetan Festival.Tibetans are preparing for the magnificent festivals as the summer is coming. 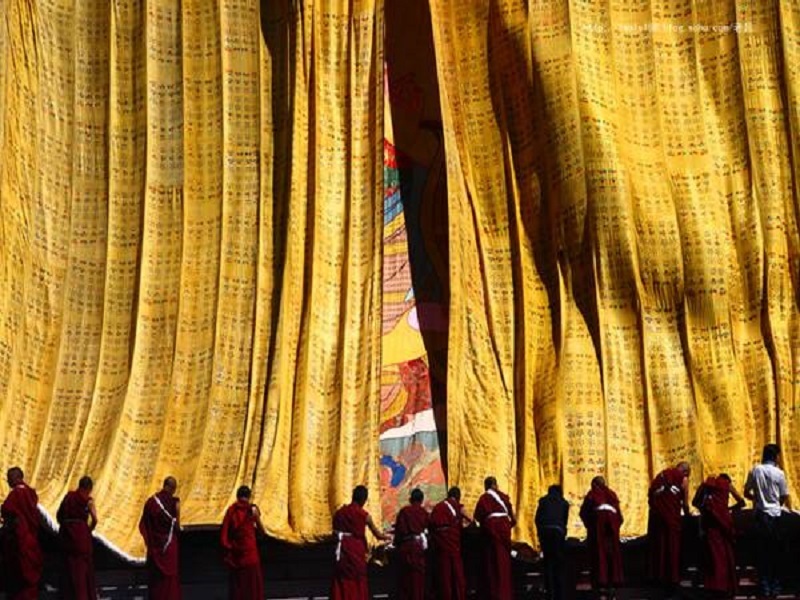 If you have planned to a Tibet Lhasa tour this summer, It's a pity to miss these celebrations. Today we will introduce the top 9 Tibetan festivals in summer for you. 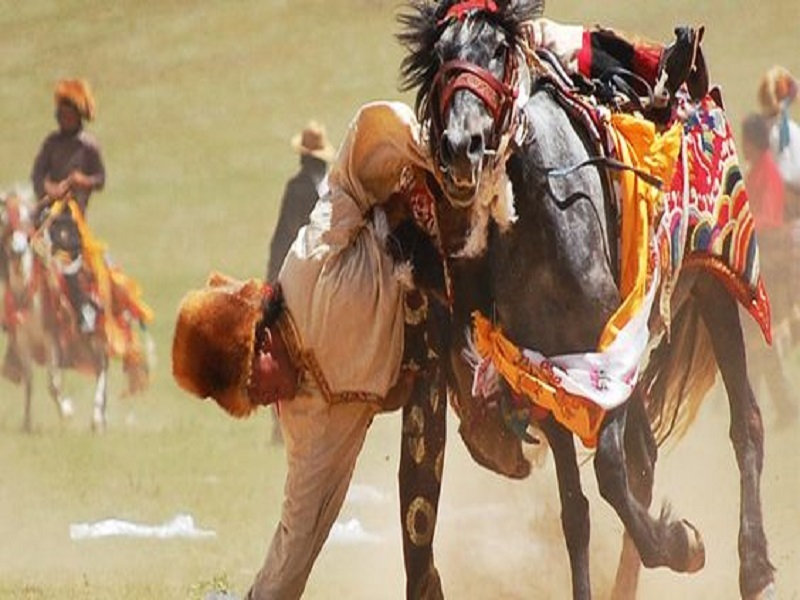 Horse Racing is a most exciting activity in Tibet, it's not just a sport but ethos to Tibetan. As the largest Horse Racing Festival in Tibet, Gyantse Horse Racing Festival is held every year. You can watch the lifeful performance such as Horse Racing, archery competition, soccer, basketball. Besides, the bustling market nearby will attract and hold you. There you can buy some local goods. 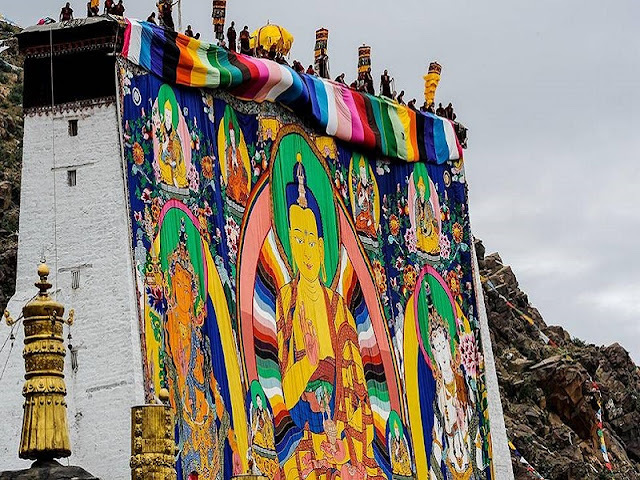 Saga Dawa is a traditional festival in Tibetan Buddhism to the memory of Sakyamuni. It's a good chance to find what is true for you in the period.Buddhists believe that in these days they could be more powerful with Buddha's blessings. Millions of pilgrims kowtow and pray around Jokhang Temple, the Barkhor Circuit and the old town of Lhasa Tibet from morning till night. And they burn incense and pray, eat the food without meat, and buy captive fish or birds and set them free during the festival. It's said to be a way to purify spirits and souls in Tibetan Buddhism. The festival is also called Zamling Chisang or Universal Prayer Day. It's a festival in memory of Guru Rinpoche who subdued demons and built the first temple in Tibet. Monks will dance with masks and pray for blessings. 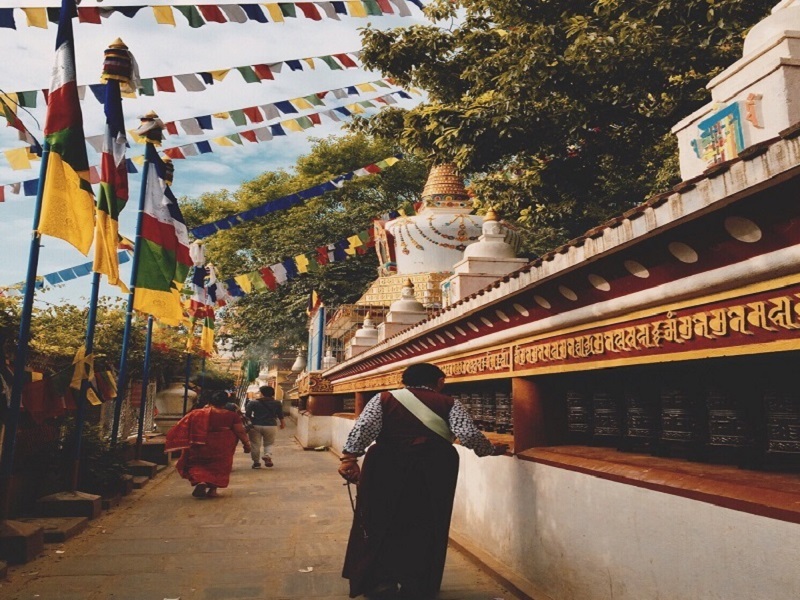 Tashilhunpo Monastery is a most lively place in summer, thousands of Tibetan come together in crowds to show the response to the Buddha in Thangka, express their faith in Buddha and pray for paradise. The platform for Thangka Displaying is in the northeast of Tashilhunpo Monastery and You can see the giant Thangka even from dozens of kilometers away. 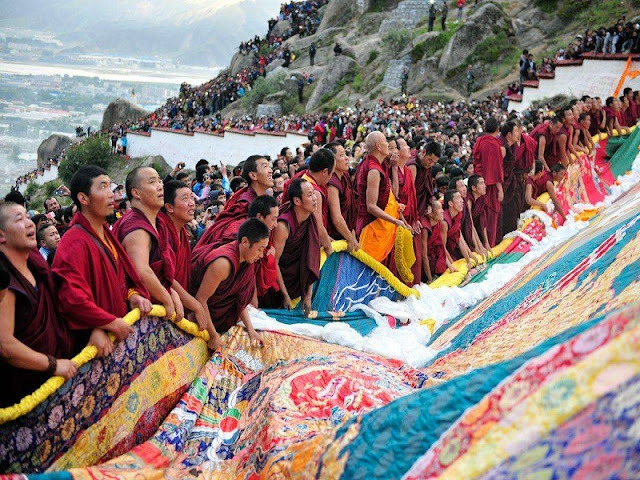 To catch sight of one of the best religious processions in the world, travelers gathered around Lhasa in July. Choekhor Duchen honors the day that Buddha first tells the Four Noble Truths to his followers. And it was the day that Buddhism comes into the world. 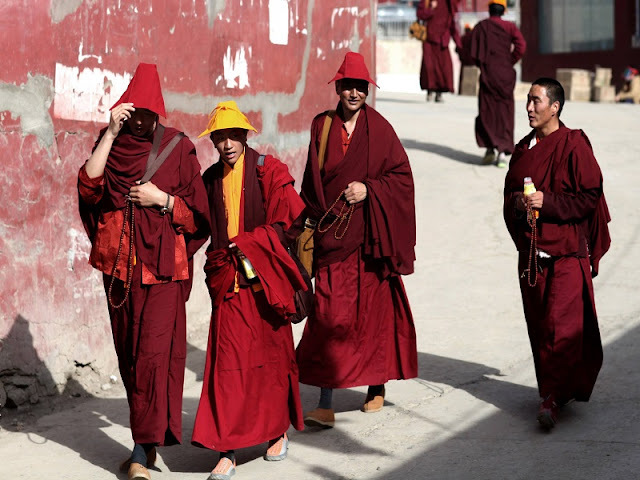 Thousands of pilgrims stream into Lhasa to celebrate the festival, it must be a heart-shaking view to you. Not far away from Lhasa, Ganden monastery lies in a showground natural formed and show beautiful views around it. A guesthouse is open for travelers, there you can experiment religious life at close quarters. 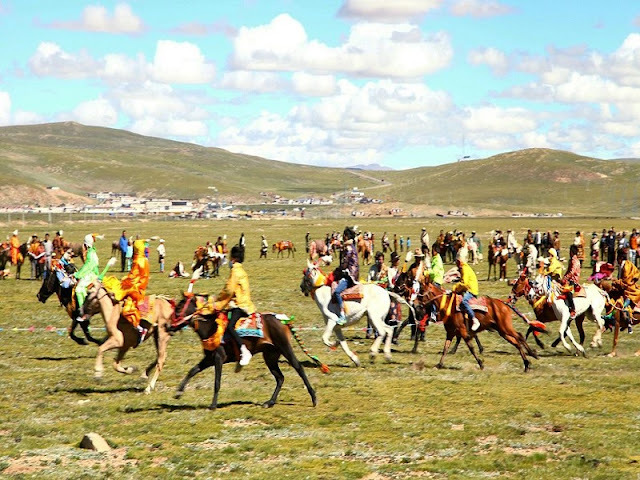 The festival is a big show held in the northern of the Tibet. It's the best chance for you to get close to Tibetan nomad life. You may move by the beautiful view and passional sports there. And the festival is a romantic season for Tibetan lovers. It was a custom for Tibetan to devote yogurt to the monks after their vassa. 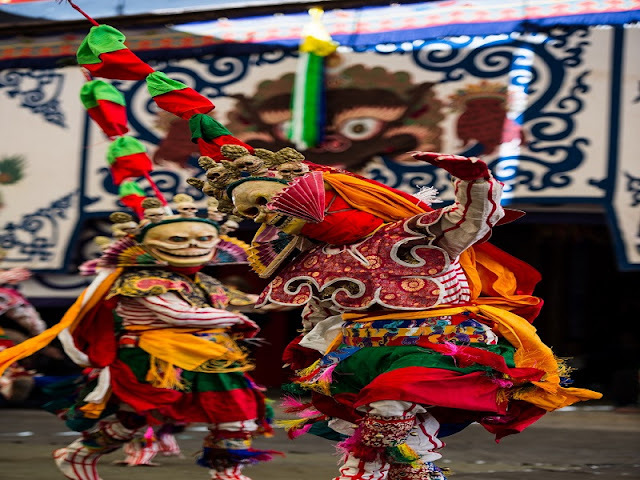 Today the traditional custom has become a grand celebration with Tibetan drama. Tibetan sing and dance with their best decoration around Norbu Lingka, have a meal of yogurt and enjoy a good time with family.